Smoke Imagined. After repeatedly watching YouTube instructional videos to learn to use my new flash and trigger, I explored some YouTube smoke "how to's”. Fun. 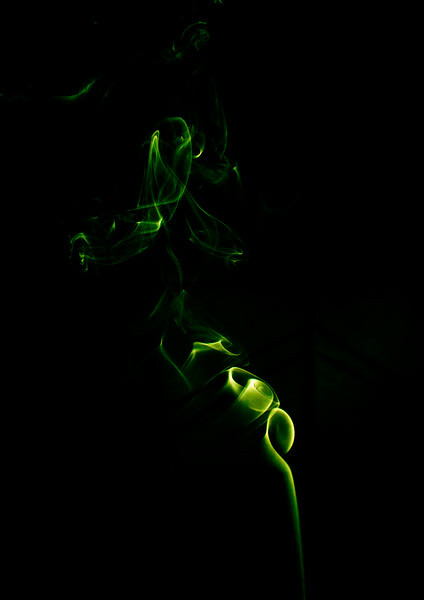 I’ll have many more sources of smoke (other than match sticks) to explore but I am satisfied with this picture. Nikon D3400, M: ISO100, f14, 1/200th sec, 27mm with 18-55mm lens. Flash pointed through the smoke. LR adjustments of temp, tint, white and exposure.